I know someone like that he keeps on talk about no one loves, at least he is seeing a therapist. I knew a guy who, after his divorce, developed a MEGA drinking problem. So much so that he lost his job. So he was an unemployed, divorced drunk and was considering suicide ... but then it occurred to him that the stray cat he'd been feeding (he called it "Poots" because it farted all the time) would be all alone and winter was coming. So he brought the cat indoors and joined AA. 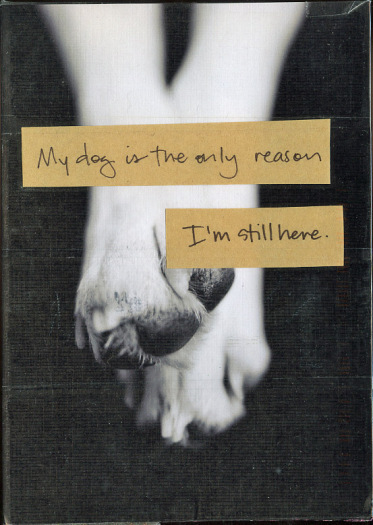 Obviously, then, this PostSecret spoke to me, too.